In search of a relaxing vacation, I asked my friends in Europe about places that they've been. Between 5 places that I listed, I asked them to tell me which 3 would be "can't miss" locations - Croatia happened to be one of them. I didn't know what to expect from Croatia prior to this but let's just say that having been here for this trip, I now know what the hype is about. My trip to Croatia was the first 7 day holiday that I'd taken so far this year (all my previous trips were 4 days or less) so it goes to show you how much you can do in a few days but coming into this one, I was almost at a loss at what I could do. I arrived in Dubrovnik on another 6am flight (I really despise these but you can't argue with the ticket prices) on the 30th of July. It was definitely hotter than in London - 30 degrees versus 16-18. But it was pleasant since you were right by the Mediterranean Sea as it brought this cool sea breeze every once in a while. Anyway, the landscape was incredibly gorgeous. As you can imagine, being by the ocean, with a mountain filled landscape, it always gave you something to look at. 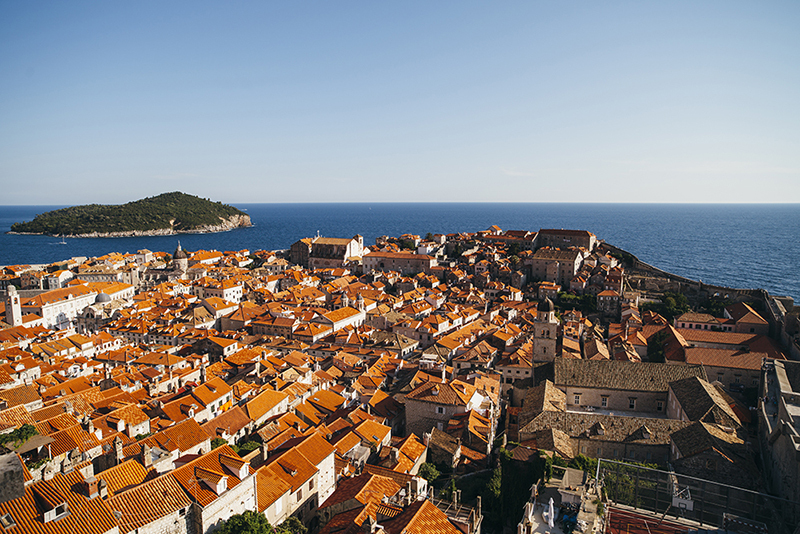 I stayed in Dubrovnik Old Town which is basically where you want to stay when you are here. 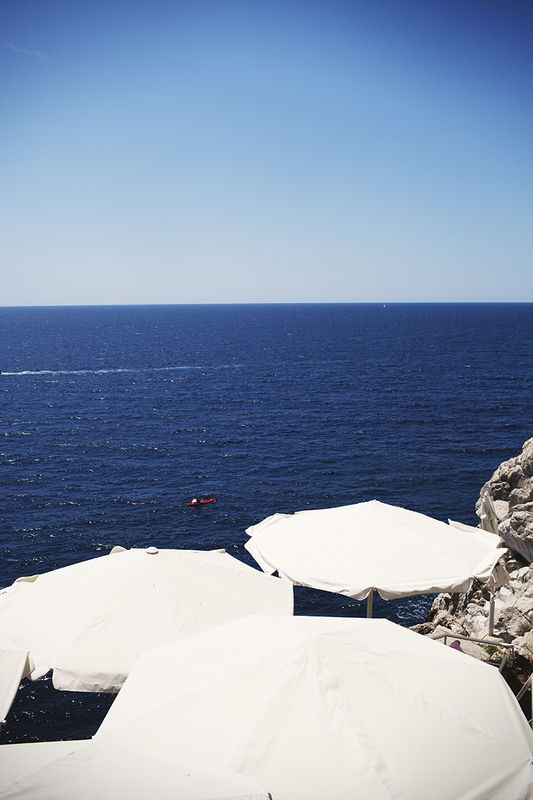 At the very least, you might spend the most of your time here when you are in Dubrovnik. It really is small enough to walk around in 1 day, it's almost impossible to get lost here but I love how it is built. Small little alley ways with cobble stone - mostly clean. 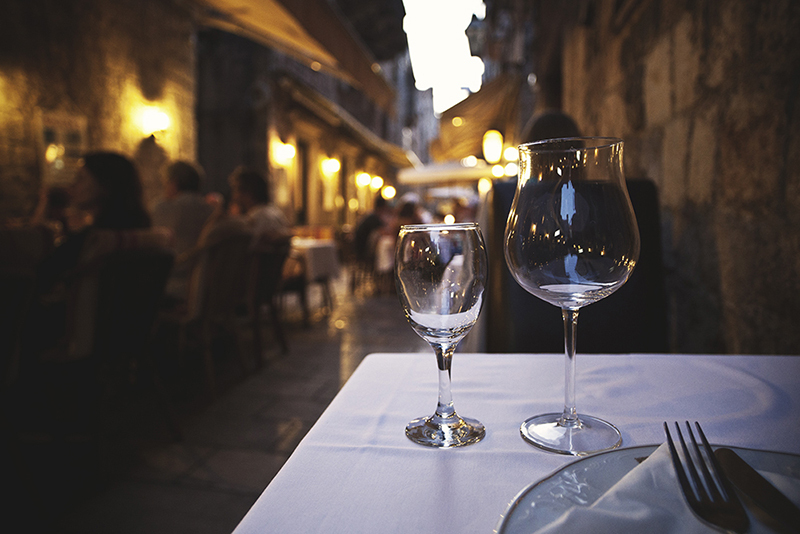 The thing about Europe is that even if you call it an alley way, there are little cafe's and restaurants strewn all over with chairs outside for you to sit in. That is very much the case in Croatia as well. On my second day here, I decided to go and try something that I've been wanting to do for ages... scuba diving. What better place to do it than in the Mediterranean? Alright, I know there are probably loads of locations that have amazing dive locations but this wasn't half bad :) The beginners course took place in the Hotel Palace which is a 5 star resort just outside of the old town - you have to take bus #4 there and it is the last stop on the line which makes it nearly impossible for you to get lost. Anyway, the experience was awesome! The water was so transparent and clean looking and it had the Mediterranean turquoise color to it as well. Definitely a must do for anyone who is in the area. There are no real beaches in the old town so you will have to go out of the town a little ways to find one. Maybe a bit of a hassle but considering how small the town is, it is worthwhile to do day trips anyway. On my third day, I went on a day trip to the Elaphite Islands (three were visited including Kolocep, Sipan and Lopud) and spent the day lounging on the sandy beaches and enjoying the weather and scenery. Even got to meet two very nice Aussies who live in London - Katrina and Maggie. Wandering around with them during the day and catching up again for dinner was loads of fun and it was great meeting you two! The second night I stopped at Moby Dicks and had the monk fish. These are quite easily the ugliest fish I have ever seen - like something from another planet who was beaten with an ugly stick but slice it up into small steaks and grill it and you have something there. Simply grilled and topped with high quality olive oil, this was a very pleasant surprise! Another thing I ate with great frequency was ice cream. When you are in the midst of 30+ degree weather, you yearn for certain things - ice cream was definitely amongst those things. Maybe not as good as in Italy but pretty close. 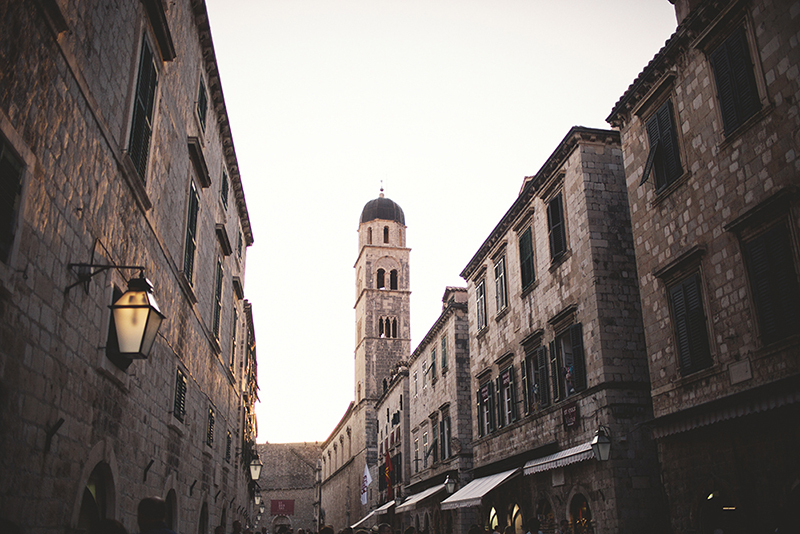 Dubrovnik is a beautiful little town. Definitely small but lots of life here - although much of that life is due to the tourists really. You won't see too many locals living in the Old Town but you won't feel lost either since you are surrounded by loads of people in the same boat as you. 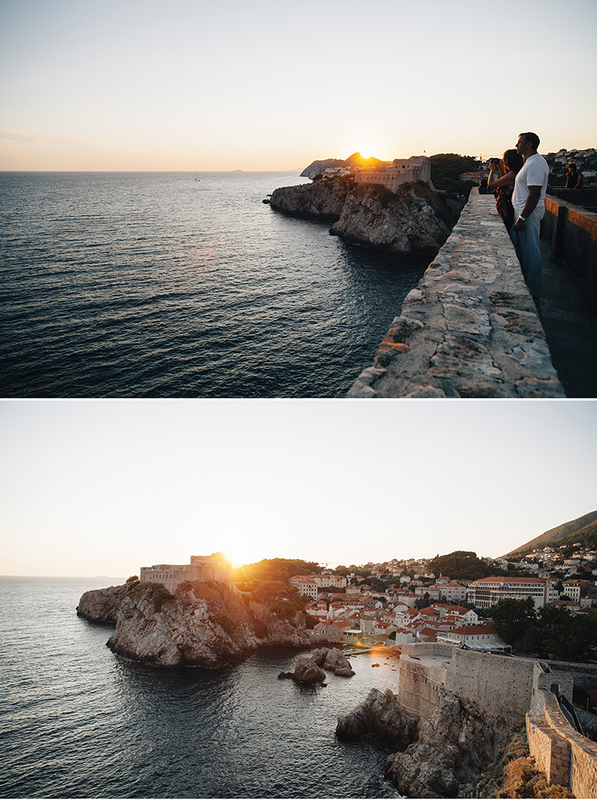 I highly recommend anyone going to Croatia to visit Dubrovnik but I would honestly say, 2-3 days max. 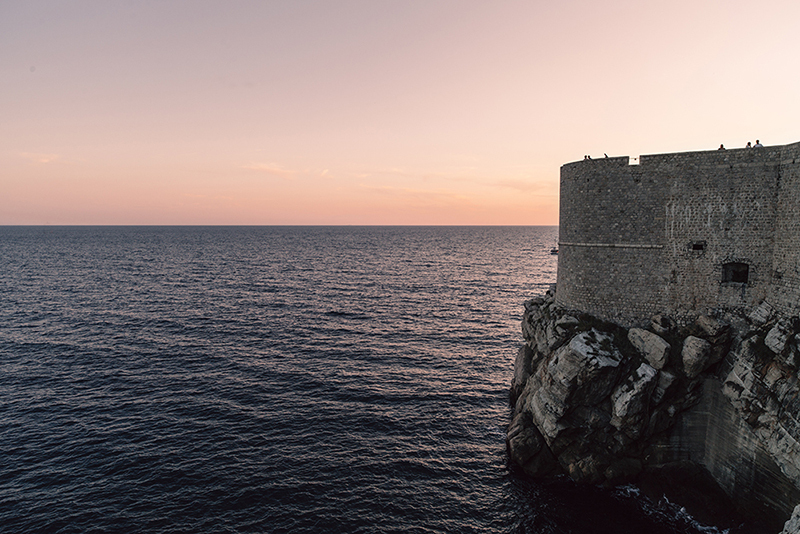 If you stay any longer, you'll run out of things to do - so supplement that time with day trips to the islands like Korcula or Mljet. Anyway, on a side note: TONS of beautiful people here haha. On to Split now, will be there for the remainder of my trip. I'll be sure to update you when I get back from there!